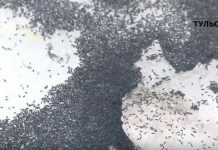 Bible apocalypse and horror movie! 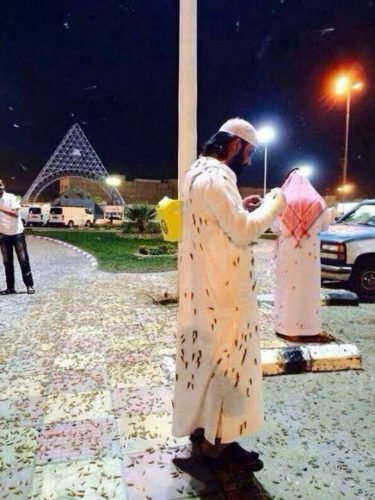 Massive swarms of locusts invaded the Saudi capital Riyadh, attacking residents and causing panic, halting traffic in many parts, and prompting houses and companies to shut their doors and windows. 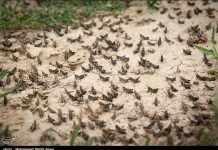 The locusts were everywhere. Authorities said they were mobilizing their resources to combat the invasion which started on Thursday, May 15, 2014. 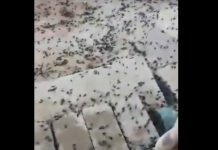 The locusts flew into the capital from the western part of the Gulf Kingdom, which has been a scene of locust attack over the past months. But hey! Don’t worry too much! 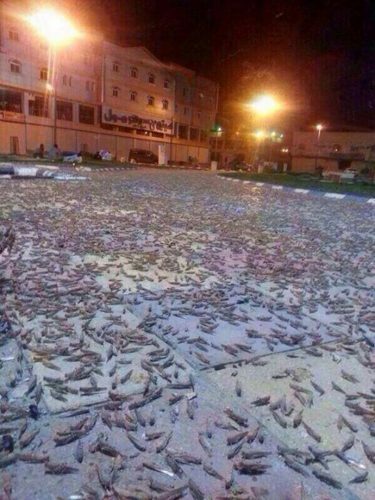 Locusts are a popular dish in Saudi Arabia.